It’s Day 18 of our Career Courage Challenge. How’s this third week going for you? Are you feeling more courageous? I welcome all your comments in email or in the Comments at the end of this article, or on Facebook and LinkedIn, too. I’ve been taking the challenges along with you–you can see my notes in each day’s Comments. 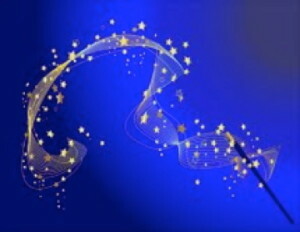 For our next challenge, how about a little make-believe? Think about a situation where you’d like more career courage. If it helps, go back to Day 15 where you got clear on what you want career courage for. Just for today, pretend you already have that courage. Take a second and notice how it feels, not only in your head, but in your heart, your lungs, your gut. With that courage, what would you do differently? What would you say differently? What would you think differently? How would you BE different? And what would happen if you weren’t pretending anymore? Share the Career Courage Challenge with friends & colleagues! If you’d like more courage in your career and life, there’s still time to join us for the Career Courage Challenge throughout June. Click here to sign up and get the challenges directly in your inbox. They’re free, fast, fun, and may give you just the boost to bring your superpowers to work. 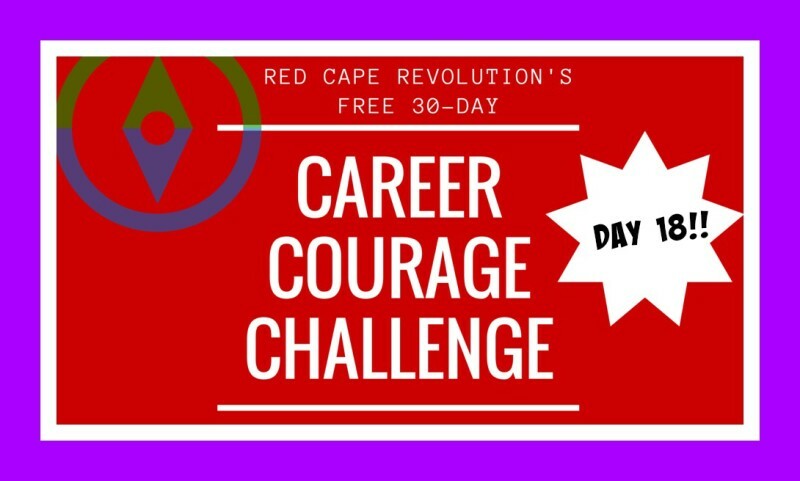 Join the Career Courage Challenge here! Why a Career Courage Challenge? Taking Control: choosing to take action on the things you want and need in your work and life. But in last year’s reader survey, I asked, “If you could take a superpill that would help you overcome your biggest challenge, what would that pill do?” here’s what you said:[blockquote]The pill would give me the words and courage to express to our executives how damaging these yo-yo initiatives are. It would give me courage to ask for opportunities when I meet people. So it sounds like there’s a new C emerging: courage. And I’m right there with you, because I’m seeking courage, too. To play bigger. Serve you better. Impact more people like you. To make hard choices about who I want to be, where I want to be, how I want to spend more of my time and where I need to spend less. That’s why I wanted to experiment with this free, 30-Day Career Courage Challenge. I’m going to push myself beyond my comfort zone, and I hope you’ll play along with me, too. I hope you’ll share your experiences in the Comments below, on Facebook or LinkedIn, or by email. I can’t wait to grow my courage muscles with you. Okay, when I pretend I have the courage I want, I’d offer my content and ideas to more magazines and media outlets, and not worry about whether they say yes or no. I’d invest in additional help to support my efforts to reach more of the people who I can really help with the work we do here at Red Cape Revolution, and I wouldn’t overstress about the costs of that help because I’d know it was making a difference. It feels pretty great to have that courage–guess I need to wear that more often! How about you?